There’s nothing more American than sports, so just in time for America’s birthday, here’s a look at some of the biggest stadium projects in the works—from the world’s most expensive stadium to a celebrity-backed soccer field. The Lions’ Ford Field Stadium will be undergoing a $44 million renovation of its interiors in a project led by Detroit-based Rossetti. 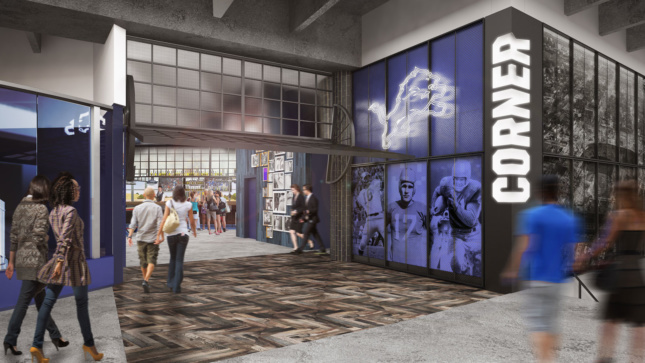 “Our goal has been to bring the fan experience up to standards and beyond while customizing the design for Detroit,” said Jim Renne, sports principal at Rossetti and lead designer of the original stadium. 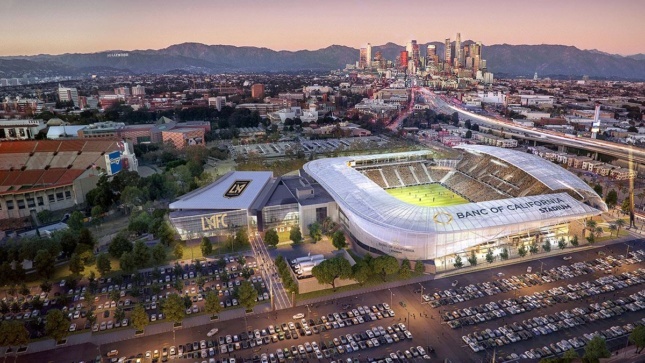 The 22,000-seat and $250 million stadium for the LAFC is now under construction. Designed by Gensler in a “European-style” arrangement with steeply-raked and sweeping seating areas, the open-air stadium is meant to bring viewers in a closer relationship to the field and players. 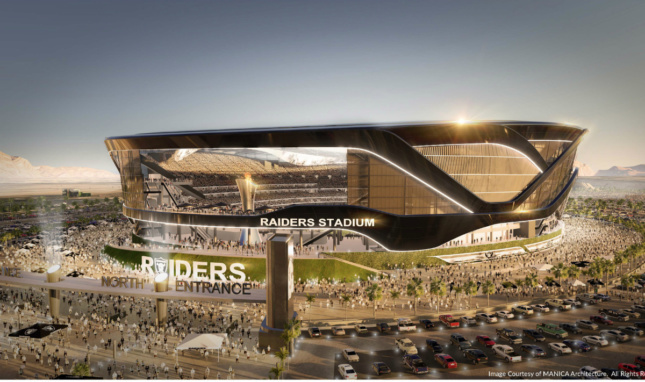 The Oakland Raider’s have purchased a 62-acre-site in Las Vegas for their new stadium, which will be designed by Kansas City, Missouri–based Manica Architecture. The stadium, which is expected to cost $77.5 million, will seat up to 65,000 people. The NFL team’s move to the new stadium follows two years of drama and they plan to move in 2020, just in time for the start of the season. 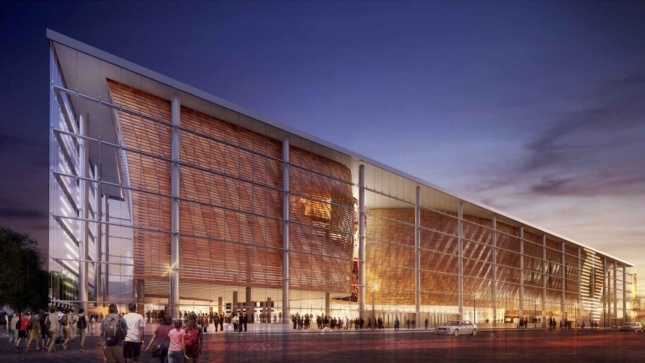 As one of the oldest National Basketball Association (NBA) stadiums in use, the Quicken Loans Arena will get a $140 million refurbishment from SHoP Architects and Rossetti. The new design will see a new glazed facade which stretches the stadium’s footprint closer to the street edge, as well as an increase in space at the entrance and exit gangway areas. “The $140 million transformation, half of which the Cavalier’s will be paying, ensures that this public facility will remain competitive in the future,” Cleveland Mayor Frank Jackson said in a press release. 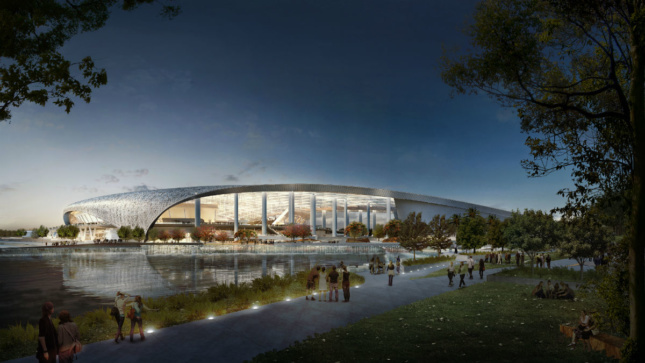 Soccer star David Beckham is making moves with a Populous-designed, 25-000 seat stadium. What’s catching attention, however, is not the celebrity attachment: it’s that there won’t be parking. 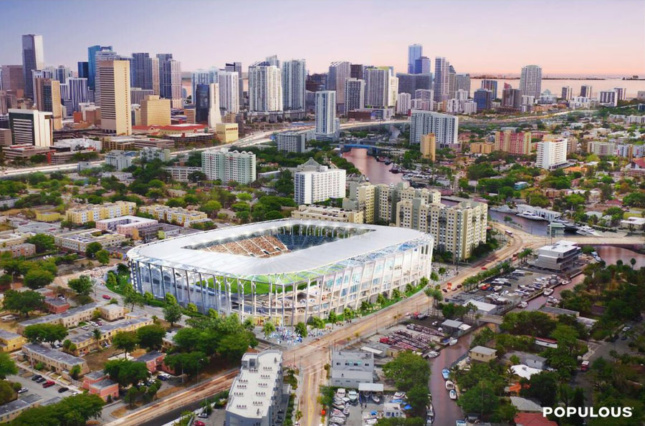 Instead, fans are expected to use Metromover, Metrorail, water taxis, ridesharing, and plain-old walking to get to the stadium. Once completed in 2019, this stadium will be the world’s most expensive, clocking in at a whopping $2.66 billion. Dallas-based HKS designed the new LA Rams stadium with more than 36,000 aluminum panels, which will have 20 million perforations punched into them. The perforations in the metal skin respond to the variable Southern California climate without the need for an HVAC system. This creates an effect of being outside, according to HKS. In a $500 million vision to revamp the sites around the RFK Memorial Stadium after it’s demolished in 2019, Events D.C., the city’s semi-independent convention and sports authority, unveiled plans to build it up with three multi-purpose athletic fields, a 47,000-square-foot food market hall, and a 350,000-square-foot indoor sports complex. 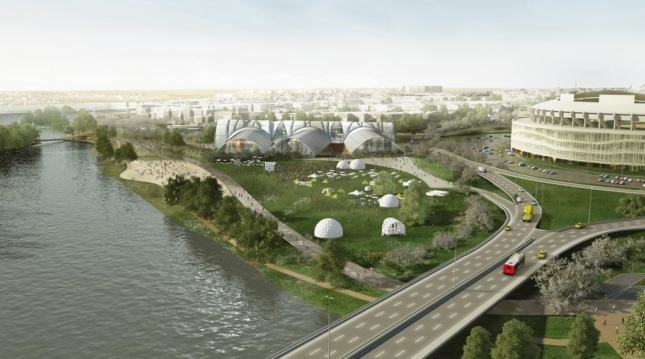 “The RFK Stadium Armory-Campus—currently under-utilized—is poised to be transformed into a vibrant place that connects D.C. to the Anacostia River,” OMA partner Jason Long told the Washington Business Journal. 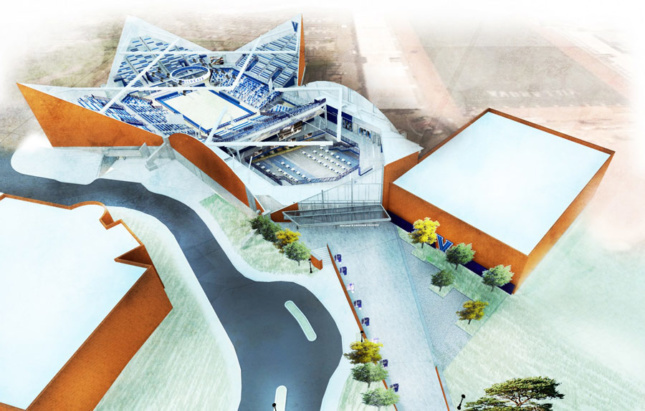 The university’s basketball fans will have a new stadium to cheer on the Wildcats for the 2018-2019 season (in time for March Madness) when the renovation designed by Philadelphia-based EwingCole is completed. There will be a new lobby, concourse, and hall of fame greeting visitors. “It was important to Villanova that we celebrate the uniqueness of The Pavilion while creating an unmatched Division I basketball experience for the players and the fans,” said Bill McCullough, principal of EwingCole’s sports practice, in a prepared statement. 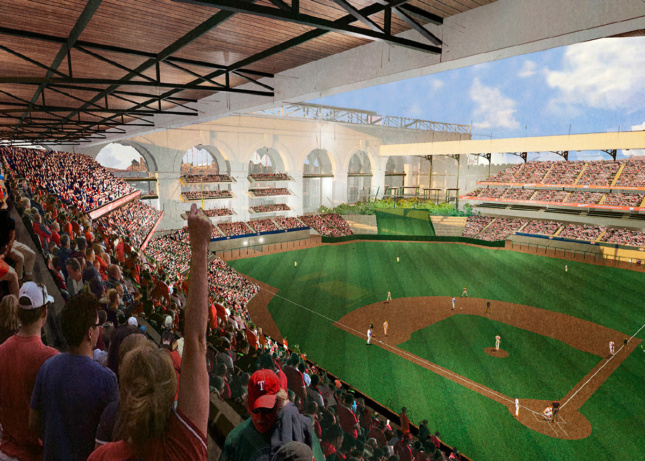 Dallas-based architecture firm HKS has been chosen to design a new ballpark for the Texas Rangers baseball team. The stadium will be constructed as a public-private partnership between the team and the City of Arlington: It will serve as the Rangers’ home field and as a multipurpose arena for high school, college, and international sports. 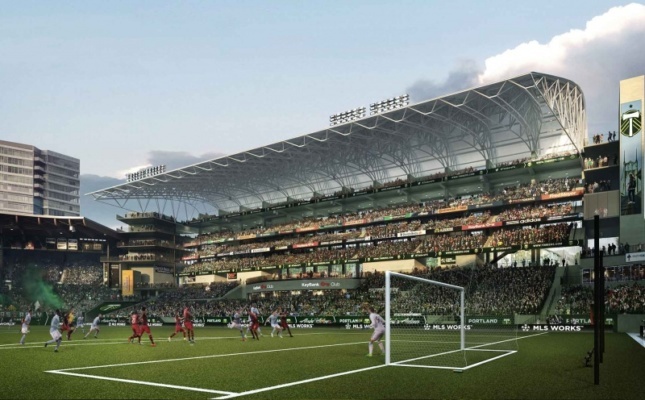 Allied Works Architecture (AWA) has unveiled designs for a $50 million expansion to the 91-year-old soccer stadium in Portland, Oregon’s Providence Park, home to the Portland Timbers and Portland Thorns soccer teams. The stadium expansion, according to information on the AWA website, is conceptually inspired by William Shakespeare’s Globe Theatre in London and will aim to add roughly 4,000 seats to the existing stadium complex.